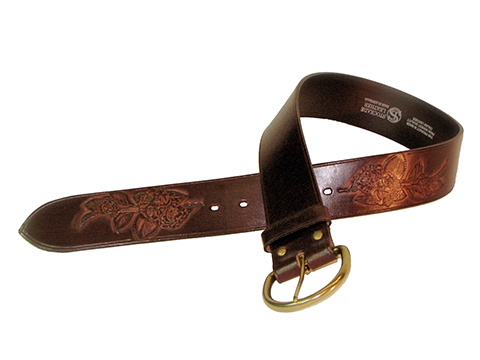 This belt is 50mm (2″) wide and made from high quality Italian leather. The tip of the belt has been embossed with a rose pattern which has been sanded to highlight the pattern. It has a ′D′ shaped buckle made from tough zinc alloy. The belt has a leather belt loop.